‘Everything that we do for children should be done to the best of our ability’. This is the message from the President of the Methodist Church in Fiji, Reverend Dr. Epeneri Vakadewavosa as Christians all over the world celebrate Palm Sunday today. Vakadewavosa says most children around Fiji will lead church services with hymns and bible verses, and they will also remember the children that are less fortunate. 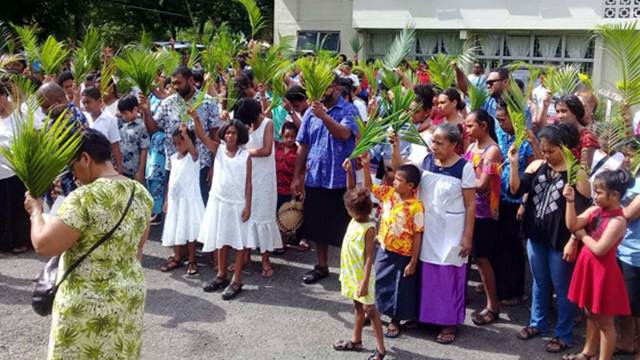 The Head of the Catholic Church in Fiji Archbishop Peter Loy Chong says there should be different ways in achieving hope and peace and Jesus should be kept as the focus of Palm Sunday. Palm Sunday celebrates Jesus’ entry into Jerusalem.